You think you got what it takes to land a fat contract through skating? 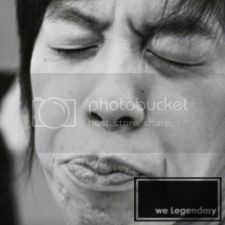 Then join this! This could be the key to your success. 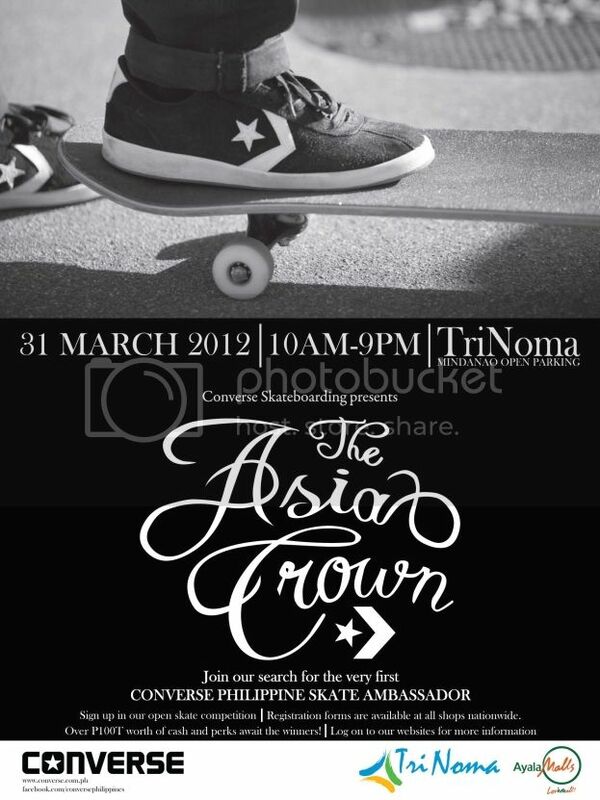 Catering to the best skateboarders around the Metro, the Asia Crown aims to give Filipino skateboarders the chance to show off their dope moves on the board and compete with the best of the best skateboarders across the country. 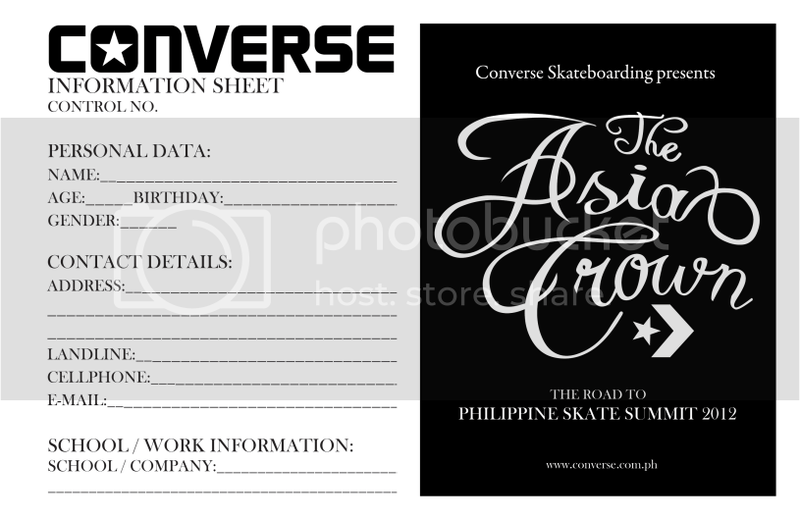 More than bragging rights, the local Asia Crown skateboarding champion will be hailed as the first official skateboarding ambassador of Converse Philippines—That means a year of Converse skateboarding goodies, P50,000 cold hard cash, and plane tickets to official Converse skateboarding events worldwide. - You can download the form HERE or simply visit any Converse store nationwide for registration forms. - Registration is open to all amateur skateboarders, 16 years old and above. P.S. If you are a minor, you must have a parent or guardian sign your registration form. •Helmets are mandatory for COMPETITION and PRACTICE and all other safety equipment is strongly recommended. •Registration forms for athletes under the age of 18 require a parent or legal guardian signature. •All participants and persons going into the competition area are required to sign a waiver of participant liability. •We reserve the right to change format as needed to provide the safest and most organized competition. •No spectators are allowed on the skate area (competition area) at any time for any reason. •Any participant that repeatedly ignores the rules, warnings or instructions from event staff will be removed from the competition. Profanity or unsportsmanlike conduct will not be tolerated. For updates click on the facebook event page HERE. CONVERSE, Y U NO BRING MY CONS DRESS BLUES HERE! ?